In a few weeks, October 12 to be exact, the second of the Barbés Records anthologies “The Roots of Chicha” will be released. I was thoroughly impressed with the first one, which featured classics by some of our favorite groups here at La Pelanga: Los Mirlos, Los Destellos, and Juaneco y Su Combo. The tracks chosen and the comprehensive liner notes show me this guy has done his homework. He also started a band called Chicha tu madre, which tours all over, playing Peruvian cumbias to worldwide audiences. Meanwhile, if you haven’t heard the first compilation, I do recommend it. Felíz bicentenario a México y los países centroamericanos! This entry was posted in PELANGA RECORDS! 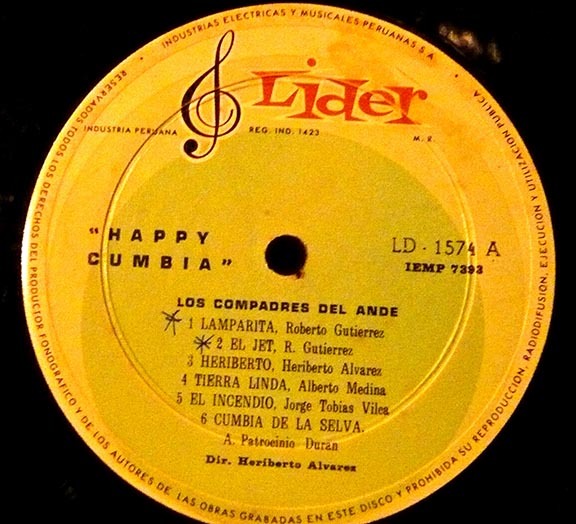 and tagged Barbes Records, Chicha, Cumbia, Los Compadres del Ande, Peru, Roots of Chicha by Franz Tunda. Bookmark the permalink. que rica la cumbia peruana!